The features that matter most in your office are comfort and reliability. 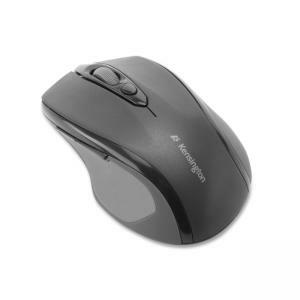 And the Kensington Pro FitTM 2.4 GHz Wireless Mid- Size Mouse delivers with plenty of both. The mid-sized right- handed design feels great in the hand while the 2.4GHz wireless technology is ideal for crowded office environments.